The second time I passed the parked car on my daily run, I mustered up the courage to look inside. I wondered if I would see cold white skin and sunken cheeks and eyes that no longer saw. Instead, what I saw was a middle-aged man, reading a book. “Well, that’s interesting”, I thought. Then I started paying attention more often to these parked cars. The details varied, but the underlying behavior was the same: individual people getting some “me time” in the City of Angels. My apartment for the previous 3 years is smack dab in the middle of a gentrifying neighborhood in one of the most stereotypically in-love-with-cars cities on the planet: Los Angeles. 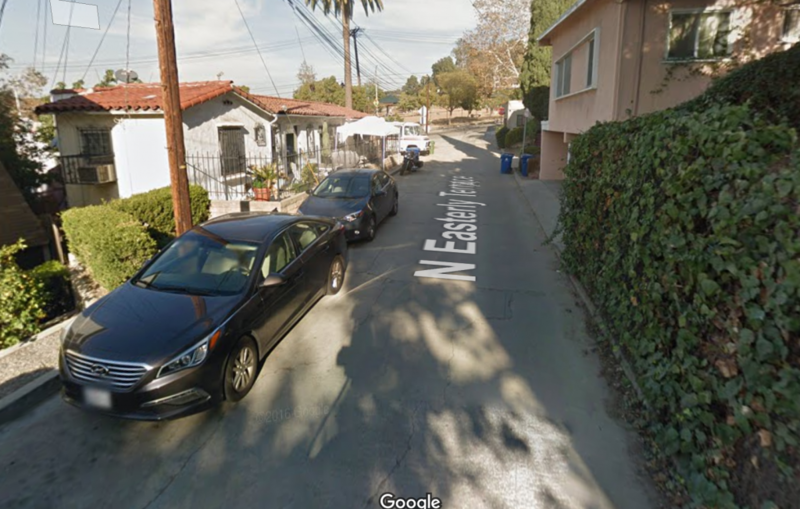 This city is a stupendous mish-mash of roadways, from Euro-narrow two-lanes that are functionally one-lanes because everyone parks on both sides, to 33% grade nail-biters (Los Angeles has 4 of the top 10 steepest streets in the country, beating out San Francisco’s TWO! ), to avenues in old residential areas wide enough for four lanes. We residents of Los Angeles get to experience everything, along with traffic and parking issues aplenty. Yes, this is a two-lane street. Theoretically. Make sure your backing up skillz are solid. Finally, I started noticing people in their cars. Not stuck in traffic. Not cruising along in the HOV lane. But alone, parked. First, I just figured it was slightly sketchy. Maybe it’s someone passed out? Or . . . DEAD?! But then I really started LOOKING. Impolitely, perhaps, but looking nonetheless. Like I described above, the situations I saw were NOT the “skeevy looking person passed out in car” or worse. I saw all kinds of people, all ages, all kinds of cars. On any kind of street. In parks. On busy streets. On quiet streets. Before school. In the middle of the afternoon. At dusk. A young professional woman. A man in a sport coat. An older lady listening to the radio. An adult with a book. Another adult with a book. So many books. What is going on? First, consider the introvert. One-quarter to a third of humans are predominantly introverted, according to the few sites I could find with some semblance of an estimate. This means a few things, personality-wise. For example, introverts feel less energetic after interacting with others, and feel replenished after some alone or non-social time. It also tends to mean that reflection on internal subjects (analysis, philosophy, writing) is more interesting to an introvert. For comparison, engaging with the outside world (conversations, team sports, parties) is natural to the extrovert and it energizes them. For reasons above, living alone is preferable to many introverts, but this can come at a price to one’s social life and personal growth. But it can also come at a literal price: in Los Angeles, the average rent for a one-bedroom apartment recently crossed $2000. That’s more than 90% of the take home pay for the median per-capita income of $30K per year (which is 25K after taxes). Compare Los Angeles to another “large-ish” city nearby: Las Vegas. This desert metropolis has a population of 600,000 people. There you’ll find warm weather, ample entertainment, and 1046 currently available 1-bedroom apartments under $1250. Of those, 608 are $1000 or less per month. Back to Los Angeles, with a city population of 3.8 million people (6x that of Las Vegas). Within those city boundaries, you’ll find warm weather, ample entertainment, and a grand total of 33 one-bedroom apartments available for $1250 or less. Of those, how many are under $1000? Technically, two: rooms in boarding houses of about 120 sq ft. So, that means ZERO. How do people manage to live here, at all? The answer is simple: roommates. Sometimes, lots of roommates. Heck, the apartment listings here might seem not so bad when looking for that rare $1000-$1200 find, until you realize that every single ad you open up is actually a room in someone’s house or apartment. There are many scams out there, as well. Most apartment seekers just ignore anything that seems like a deal because it’s likely to be misleading or flat out not legit. Remember all those people? Just chilling out in their cars for no apparently urgent reason? The more I thought about it and the things they were doing—napping, eating, reading, smoking, listening to music—it dawned on me. They are INTROVERTING. When an introvert works with people and lives with people and is surrounded by people people people, what can you do in a few extra minutes of time each day to keep your sanity? There’s no time to be going up into the mountains or checking into a hotel, or taking WAAAAY too long in the private bathroom at work? You get your solo time in your car. It’s safe, it’s yours, and you can take it anywhere. In New York, car and parking costs might be just too much for this to be an option, but in Los Angeles I believe that solo car occupancy is one way that inward-oriented folks are filling a psychological need. They’re keeping themselves sane, and, in a way, performing a necessary public good. It’s an inefficient solution, to be sure, with traffic and smog and all of that. But it’s a solution to ponder. I do. I always suspect people who hate cars and love hanging out at cafes and bars being extroverts or ambivers leaning towards extroversion. They crave to be surrounded by other people or in closer proximity to other people. My car has always been my personal safe zone and heaven. I love being in my car to vegetate, to eat, to read, to listen to music, to be on an open road to some open space. I eschewed reserved camping space to sleep in the car instead. I have what I need to a temp escape in my car (a stroll on the beach, a picnic in th park, a power nap, an urge to disappear for a day….). The sole occupants in parked cars may be just like me or private eyes/undercovers/stalkers doing stakeout. Thank you Andrea for raising awareness to ridiculously expensive rents in Los Angeles. But I love your positive attitude about it! Let’s continue spreading positivity because we won’t allow hate to win. I’m an introvert too by nature but I’m learning to come out of my shell. One step at a time. Hope to run into you and other introverts somewhere in Los Angeles! I love this! You’re a great writer and the topic and insight are cool, too. Cheers!